This is the main component of Aktina’s unique SBRT system. 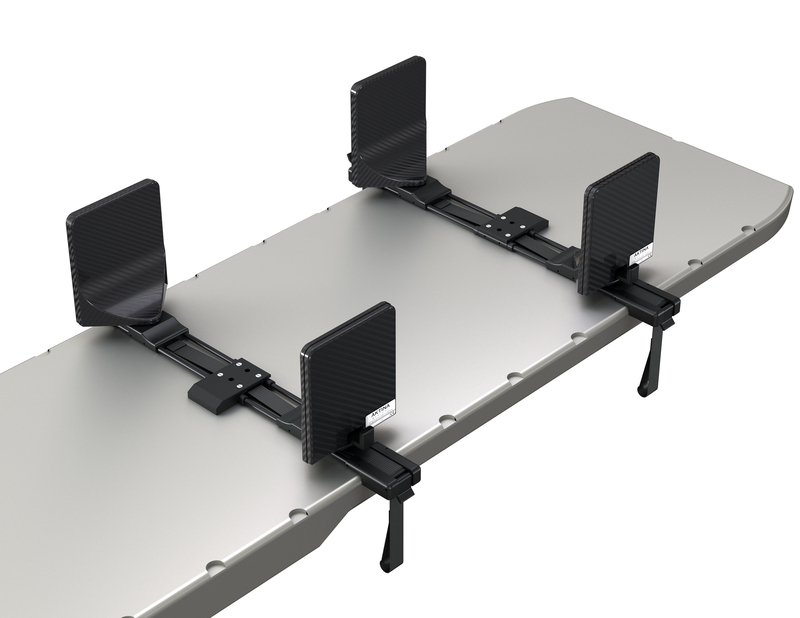 It comprises of 1 SBRT Universal Crossbar (P/N 60-522) and 2 SBRT Lateral Paddles (P/N 60-525). The SBRT crossbar has a unique direct to table interlocking feature. This allows the bar to fix directly to the treatment couch without the need for a bulky overlay, keeping attenuation low and increasing reproducibility. When used as a pair (shown above), one of the crossbars can float along the table in the sup/inf direction, greatly increasing possible indexing points.